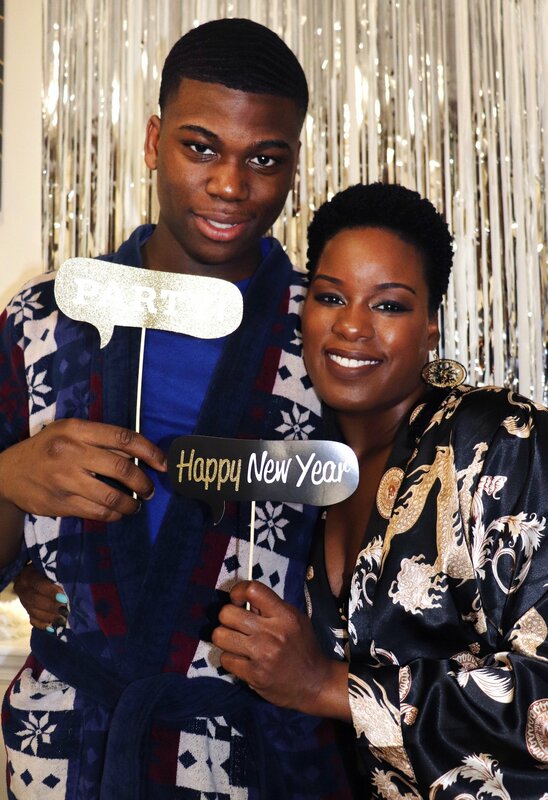 Happy New Year y’all. It felt so good to take a break over the holiday season to pull myself all the way together in preparation for a fresh start. Although I didn’t intend to be away this long. I had a sore throat a few days before New Years Eve. By New Years Day I had the nastiest cold that I’ve had in years. I had to drag myself to work since I was just coming off of vacation. And I didn’t have the energy to get anything else done after work. So I had to take an extended break from the blog. 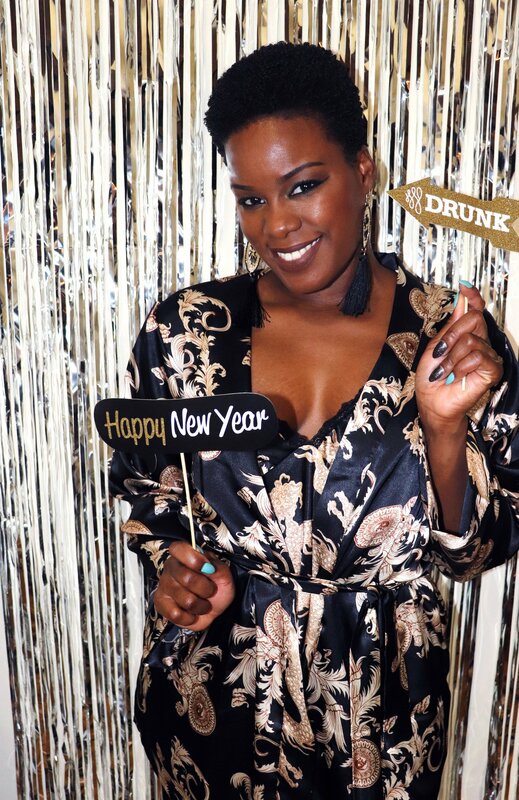 But I’m back now with my NYE Glam Pajama Jam Recap. Oh, and a cooking tutorial. In keeping with my usual tradition I wanted to have a little gathering to celebrate the new year. But I didn’t want a lot of people in my house. Especially people that you don’t hear from all year, but will jump at the opportunity to crash your crib for free food & liqs. I wasn’t having it this year though. 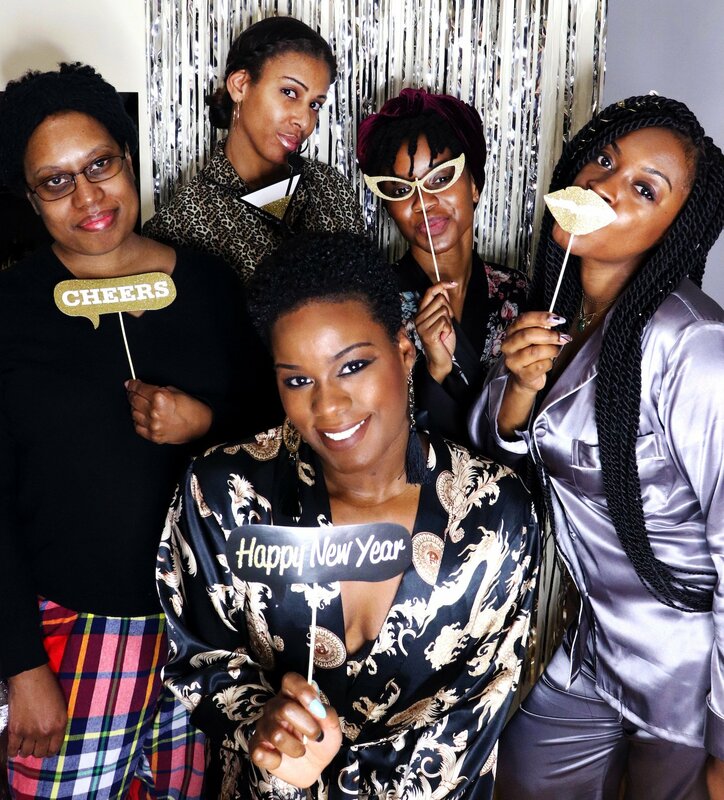 So I decided to host an intimate pajama jam for myself, my son and a few of my closest girls. I cooked up some food, planned out activities and set up a photo booth area with props. My girls brought the wine and snacks. I remember the days when my son was just a little thing. Now that Esean is 16 he’s old enough to make guest appearances at my parties. He keeps it brief though and only takes breaks from his video games to re-up on food and snacks, although he did play Head’s Up with us for a bit. 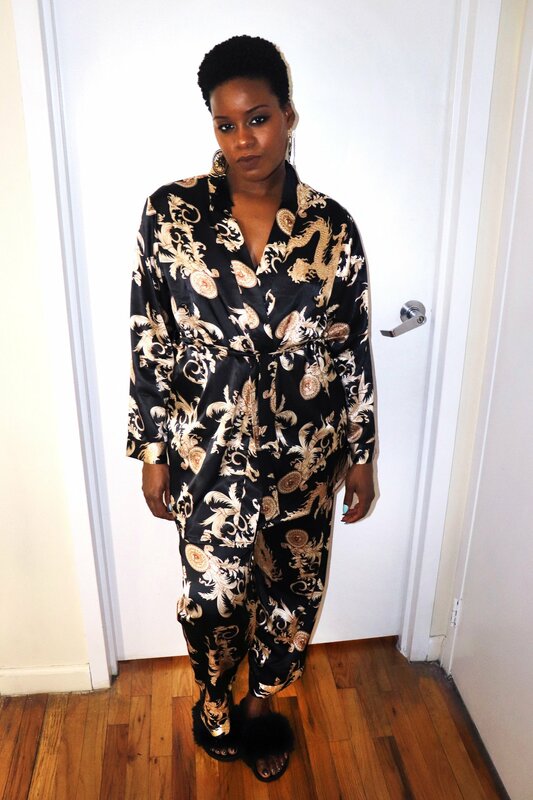 My NYE Glam Pajama Jam turned out to be a big hit. We ate, drank, played games and had us a good ol’ time. And I filmed a lil’ bit. Y’all have been asking me to bring my cooking videos like the ones that I do on my Instagram stories to YouTube. So I incorporated a cooking tutorial into this vlog as a pilot. Let me know what you guys think. Enough chatter though… watch my vlog to see what I cooked (with detailed instructions), get ready with me and get a behind the scenes peek at the fun! Everything looks wonderful! Would love to see more of your cooking tutorials on YT! Thanks as always for sharing!